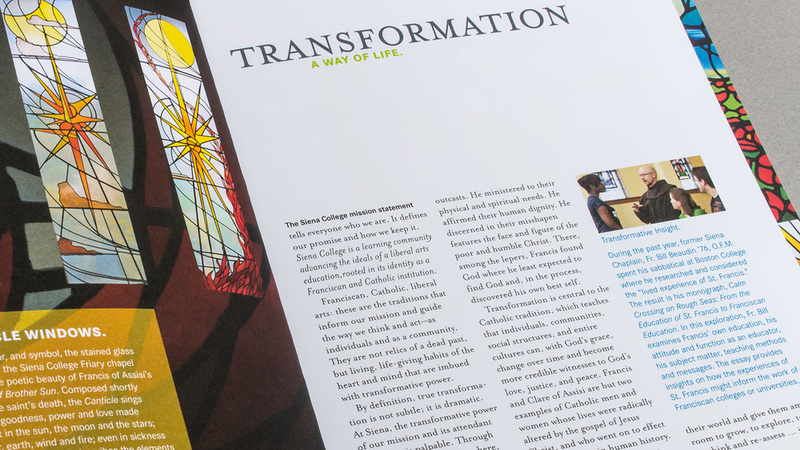 The beautiful stained glass windows of the Siena College Friary provided the visual inspiration for the color palette and vertical columns used to divide the report into sections. 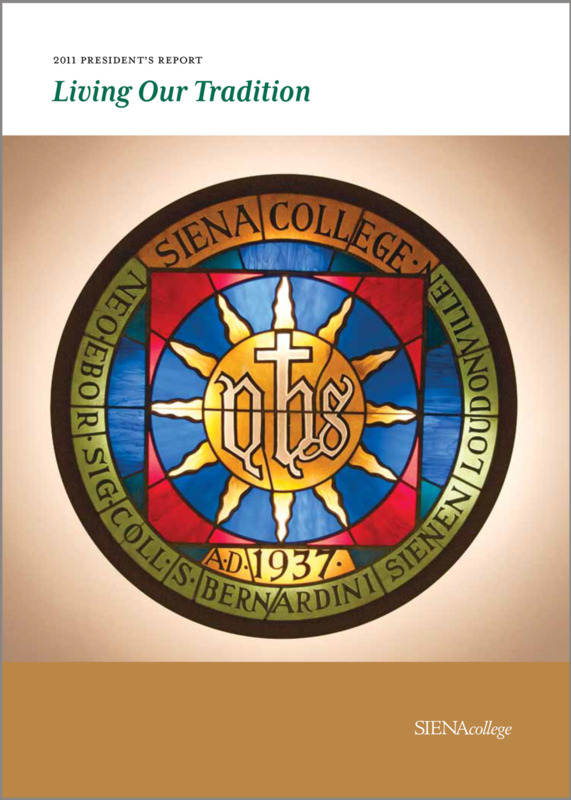 Close-ups from those windows along with quality photography and a clean crisp page layout demonstrated the value of a Siena experience. 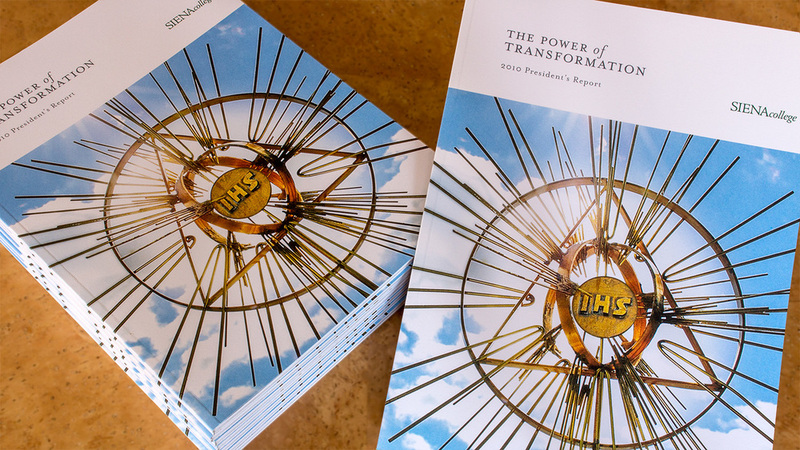 The dramatic view of the bronze sculpture overlooking the Friary lit by the sun peeking through clouds was the perfect image to complement the title, The Power of Transformation.